Logan opened today amidst a constant and consistent flow of praise from both critics and moviegoers alike. With this in mind, as well as my preferences for dark, gritty comic book movies, my expectations were set high. The film marked the end of the lengthy, seventeen year run for Jackman as Wolverine and Stewart as Xavier. Following the massive success that Deadpool brought as the first R-rated flick in this cinematic universe, fans were ecstatic to hear that Logan would receive an R-rating as well, and with that, a proper adaption and sendoff for the beloved character. With that being said, I walked in with my expectations high, and left with them met, and with tears in my eyes. Superhero movies in recent times have followed a rather fatiguing and borderline depressing formula that has, unfortunately, led many to turn their heads from it as a whole and forego seeing any forthcoming additions. Logan managed to successfully flip the genre on its head and hopefully provide a major turning point for future films. It's far, far more of a drama, with more western tones than a generic superhero movie. It was absolutely refreshing and really showed that it's possible to make a superhero flick for a more mature audience and one that can be taken seriously and respected as a film in general, regardless of it being in a comic book universe. The X-Men movies over the past seventeen years have managed to simultaneously neuter Wolverine as a character and often throw a rehashed apocalyptic plot into the mix. Logan strayed so far from that mess and wound up being both the best adaption of Wolverine we've seen and in my opinion, the best X-Men film to date. This film is surprisingly small in scale, which leads it to yield a much deeper substance in terms of character development, plot, and audience involvement. If the characters didn't get to fulfill their task in this movie, the world won't end, there's no villain that can wipe everyone away, there's truly nothing of that sort, and it's a beautiful thing. 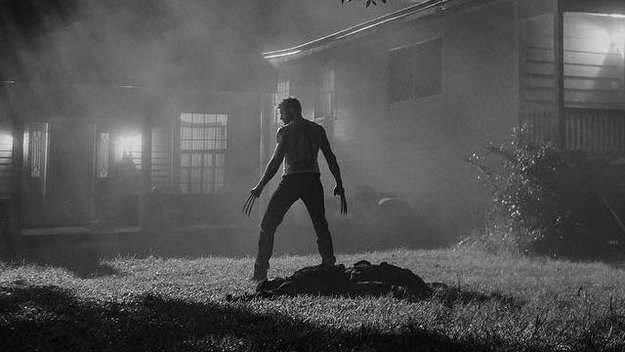 Logan made use of its R-rating to provide a grounded, gritty, and mature look at Wolverine. It didn't hold back at all. The language is on-par with Deadpool, although used in a more mature, realistic manner, and the violence has led it to be almost certainly, the most brutal comic book movie we've had to date. Deservedly so, too. I highly value staying true to source material, and all things considered, Wolverine is very much so an R-rated character, and he finally had the film to do that justice. The character performances from series veterans, Hugh Jackman and Patrick Stewart, as well as newcomer, Daphne Keen, were exceptional. In my opinion, they both gave their best performances of their respective characters, and I ended up liking X-23 and the portrayal of her much more than I expected. I loved how this film was handled visually, for the most part, it carried a bleak western tone, but at times, it would switch that up for a more, neon, neo-noir aesthetic, and I was a very big fan of both. The cinematography was also quite nice, nothing groundbreaking, per se, but certainly a pleasant aspect to accompany the various color palates used. The script certainly made use of its R-rating with four-letter words dropped liberally, most used in a realistic sense, whilst some did provide comedic relief as well. In terms of Logan's plot, it was pretty solid. It was much more geared towards character development and drama, rather than action and explosions. The plot isn't flawless and there are a few things I'd change and one I'd consider, but overall, it was handled much better than other comic book movies today. One of those flaws lies with the villains. There are three villains, each small scale for the most part. Donald Pierce is an entertaining character to watch, and Dr. Rice should have had far less involvement in the movie. He didn't have much to say, but he would've been better as a background puppet-master, in my opinion. I won't say much about the third villain due to possible spoilers, but I may have preferred a different character in his place; however, I do like the symbolism behind him. Logan managed to break the mold that has been plaguing the comic book films for some time now, one can only hope that the film studios learn from its example and be more willing to produce smaller scale films. This film marked the end of an era within its genre, Jackman has held onto the role of Wolverine for seventeen years, longer than any other superhero role has been held to date. It was deep, emotional, and moving. The idea of Logan caught my interest when it was first rumored to have an R-rating, and I've been following it closely since then. My interest only grew from the trailers to the confirmed R-rating and peaked when the review embargo was lifted and the reception was overwhelmingly positive. I bought opening day tickets that day and don't regret it at all. This movie absolutely matched my expectations that were already absurdly high. This film did something to a theater audience that I've never seen happen before. Grown adults all around me tearing up and crying (yes, I was one of them) as the final scenes played out, and as it ended and the credits opened, it was dead silent. Not a single word spoken, no applause, no conversing, nothing. The theater was completely devoid of emotion. Logan was as brutal emotionally as it was physically. It was an absolute gut-punch, and it was beautiful. I've never shed a tear in a movie theater before. This was something completely different, though, it was heavy. It was realistic. It was satisfactory. In my honest opinion, Logan blows away all the other Wolverine and X-Men movies by a landslide. In my eyes, it's the best Marvel movie ever made, and a fantastic film that shouldn't be missed. God, Casp, Shalour and 3 others like this.